Over some 10 releases dating back 20 years or so, Wooden Dinosaur's Michael Roberts has crafted songs by nailing them onto his own emotional framework. One imagines it's an artisan-like process not unlike that of crafting the house he built in southern Vermont with his wife. During that time, Roberts wrote and recorded WD's 2014 release, Rhubarb Wine. Fittingly, that EP had a stripped-down, nuts-and-bolts feel — let's call it "unfinished back-porch music." Like most of Roberts' work, it was a reflection of, and on, his life at the time. Earlier, in 2010, Nearly Lost Stars offered celestial indie-folk inspired by Roberts' literal and metaphorical wanderlust. WD's 2012 record, Spaces, was the product of a more grounded but no less curious mind. Which brings us to his latest, Working Weather. "I've got a new life now," Roberts sings on the opening track, "Will." His reedy tenor is as pleasant and unhurried as ever as he adds, "I wrote the old one down." A rubbery bass line ambles beneath him, imparting a sunny feel punctuated by bright bursts of jangly guitar. The song has an exultant, breezy air like that first real day of spring, when you can practically feel the Earth itself unclench and exhale after a long, cruel winter. For Roberts, Working Weather comes after a period of uncertainty. Familial duties — he'd recently become a father — and a lingering throat issue that made singing difficult for nearly a year caused him to question how much of his life and resources he could devote to music. That is, until he was visited by a late night muse and penned "Get Down" in one sitting. If "Will" is like the bloom of spring, then "Get Down" represents the preceding winter's gloom. "All the snow has come out / and I've been screaming out loud," Roberts sings over Asa Brosius' icy pedal steel. "Someone make me get down," he pleads before sketching bleak midwinter images of "leafless trees" and "all the wind and the poetry." If you don't already have cabin fever, you might by song's end. But as Roberts notes in the album's liner notes, the song also represents finding balance between life and art once again. And that sentiment pervades Working Weather. "Country Sun" plays like a Faulkner tale set to music as Roberts invokes pastoral imagery, both rural and religious, with tender affection. The gently funky "Real Blood," a rumination on impending fatherhood, owes a debt to Randy Newman. So does the later ode to Roberts' daughter, "Sweet Dreams Ada," which features a rambunctious, Dixieland-style horn section. On "Slow Warm Weight," Roberts embraces domestic life, if cautiously. And on album closer "Day Jobbing," he wryly examines the inevitable submission to the daily grind. Backed by 12 musicians, including old friends Katie Trautz, Sam Moss and brother Frank Roberts, Michael Roberts doesn't just make peace with his new life on Working Weather; he welcomes and celebrates it. Here's hoping he keeps writing it all down, even when it, too, eventually becomes his old life. 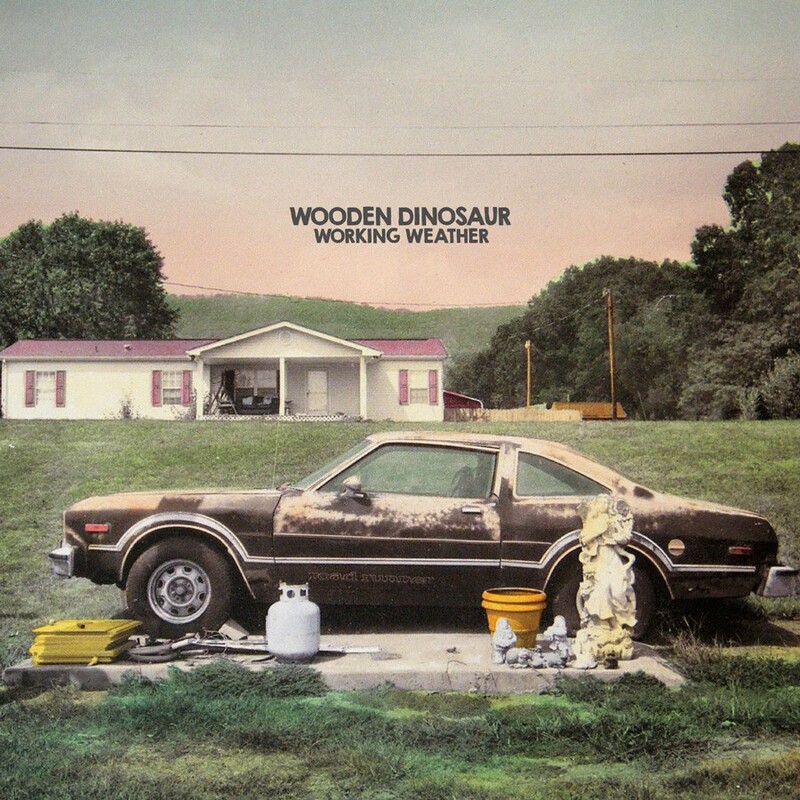 Working Weather by Wooden Dinosaur is available at woodendinosaur.bandcamp.com. Wooden Dinosaur play Saturday, March 18, at La Puerta Negra in Montpelier.